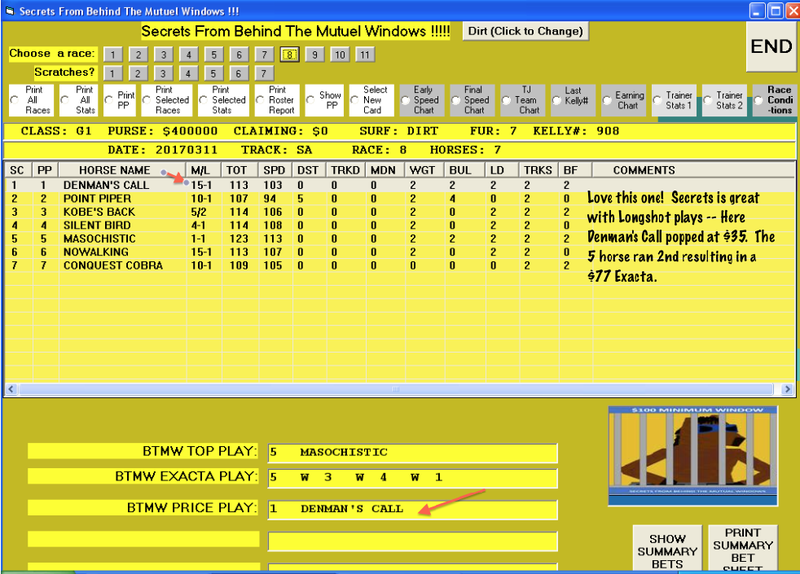 SECRETS FROM BEHIND THE MUTUEL WINDOWS!! 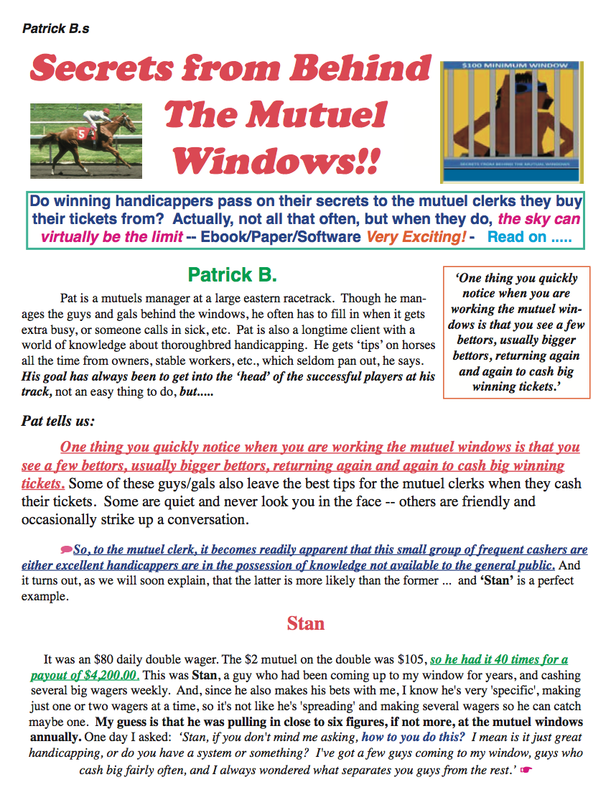 Do winning horseplayers pass their secrets to their favorite clerk? 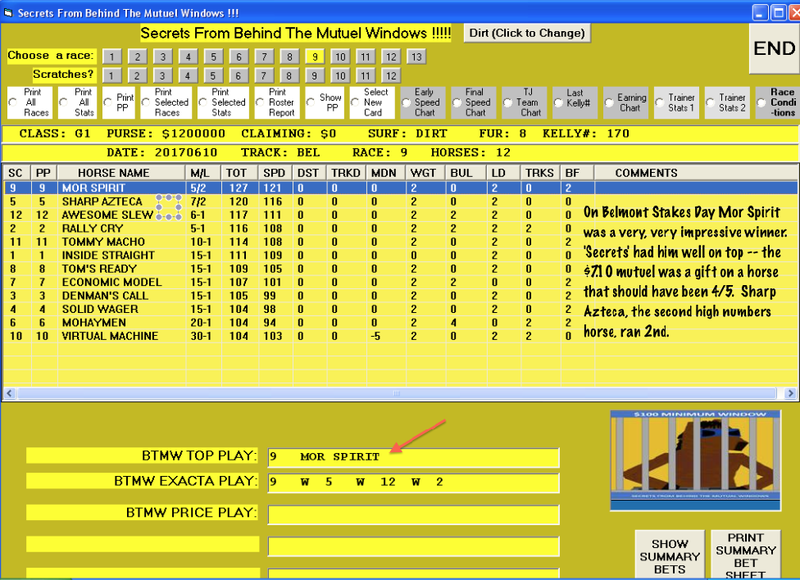 Not often, but when they do…..++FREE!! 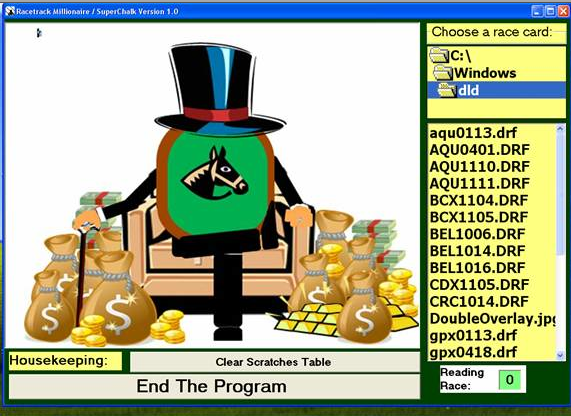 Racetrack Millionaire & SuperChalk Update!! 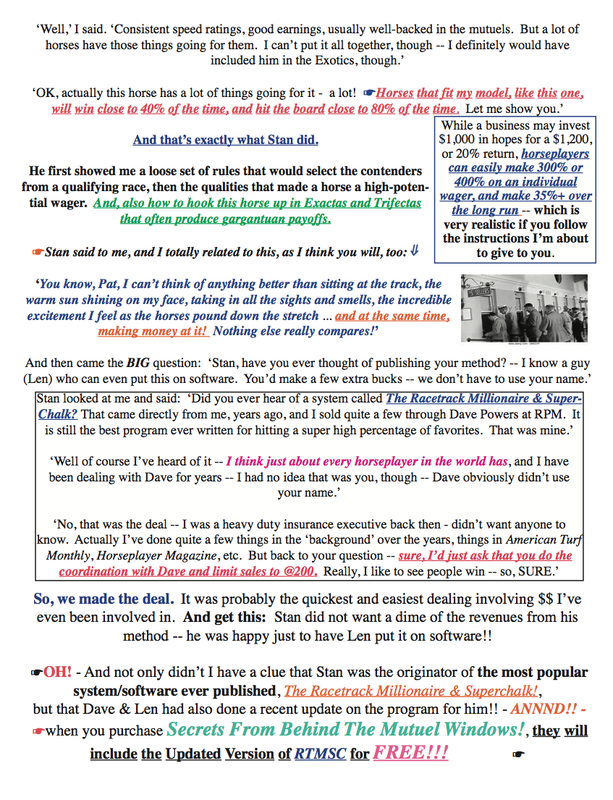 Editors Note: As you know, we began 2017 with a mission, which was to provide our clients with Software actually developed by real, honest-to-goodness, Professional Players, and programmed by another Pro, our very own Len Czyzniejewski. 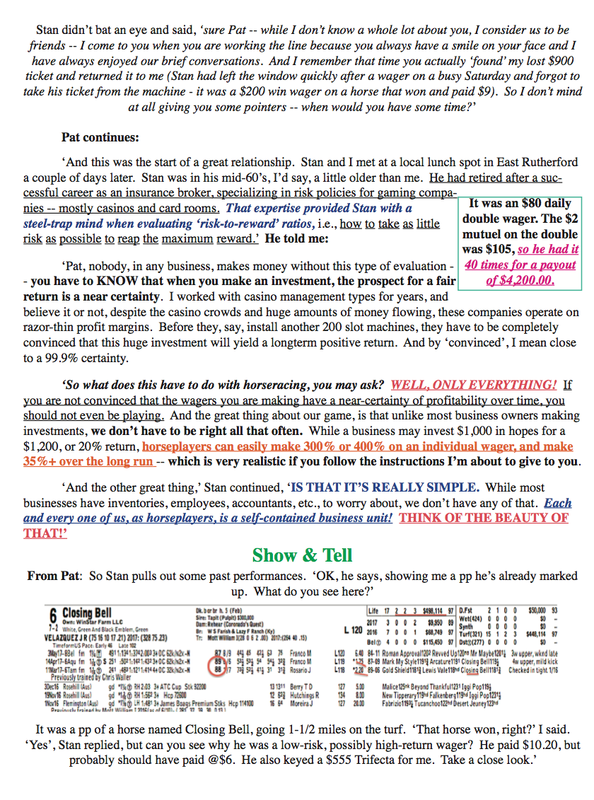 Our Vinnie The Sheets Program, Mike Lovetere’s Precision Profit Play, Outliers, etc., have all been greeted with great enthusiasm by both players and reviewers. 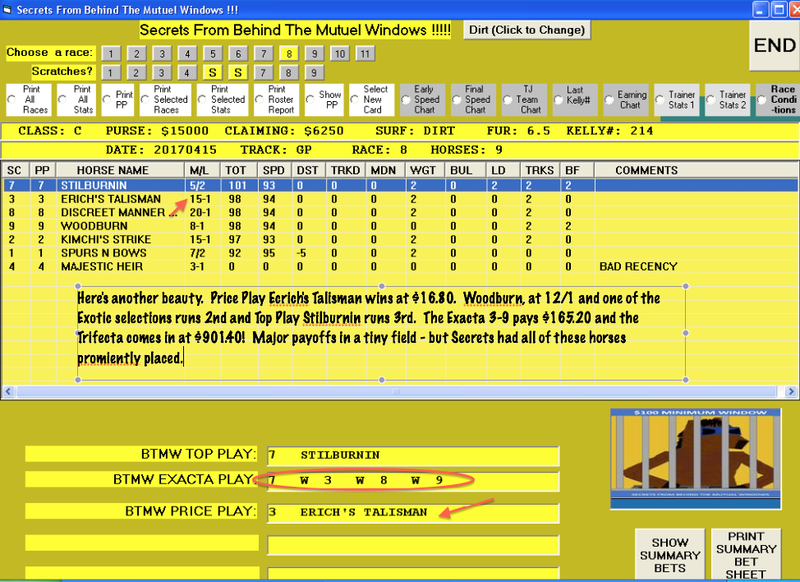 And now, we’re introducing another sensational edition to this series, which we call Secrets From Behind The Mutuel Windows. 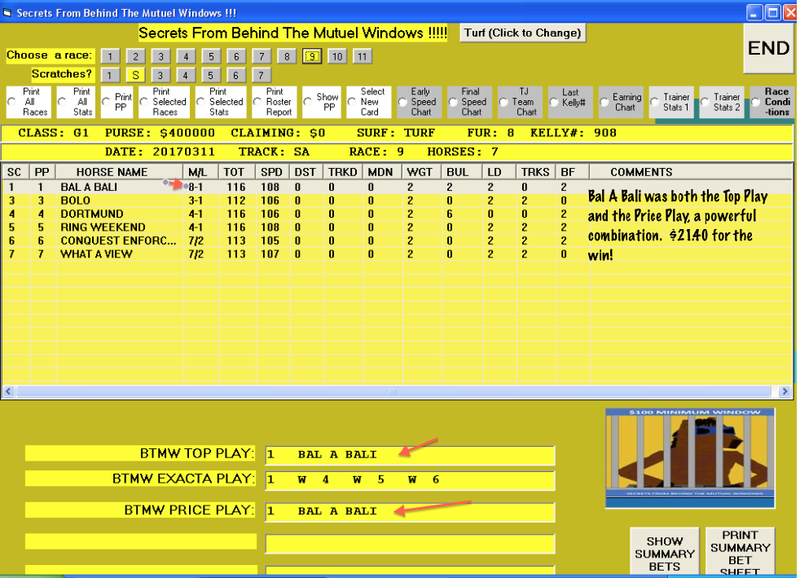 This one came directly to us from a real life Mutuels Manager employed at a large East Coast track, who got it from one of their biggest players. I know you read a lot of ad copy that says something like ‘will add a new dimension…., etc.’ if you use their product. 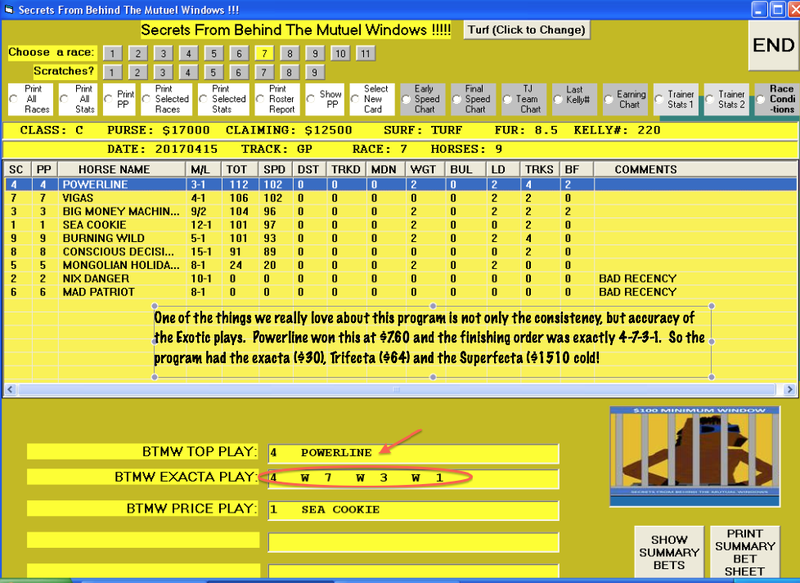 But, seriously == Secrets From Behind The Mutuel Windows will add a new dimension to your handicapping, whether you are a serious fan or just a weekend player. 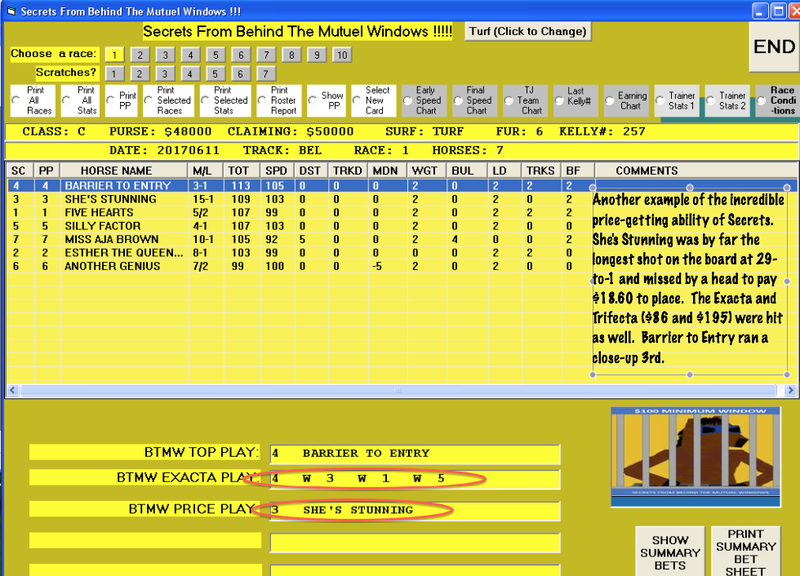 With the challenging summer racing season coming up (‘Secrets’ has had a stellar past two seasons at Saratoga, by the way), you’re going to need the best tools available to prosper — Secrets From Behind The Mutuel Windows will greatly aid you in that quest. 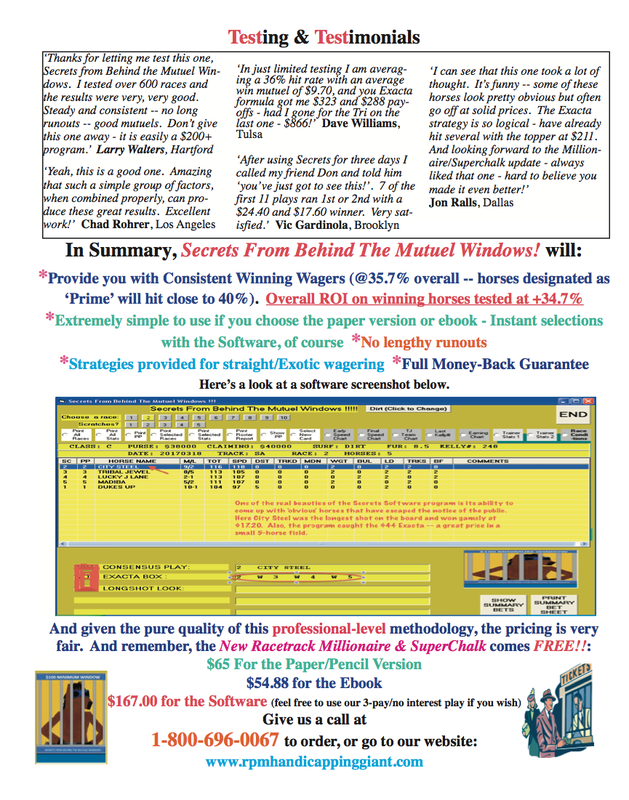 Our Newly Updated Version of our Best-Selling The Racetrack Millionaire & SuperChalk for FREEEEEE! !